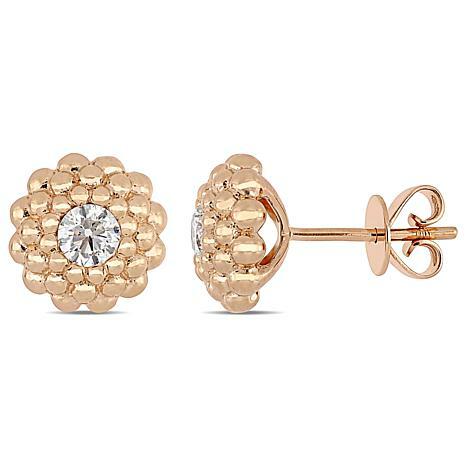 Add a touch of garden-fresh sparkle to your wardrobe with these floral-themed stud earrings. 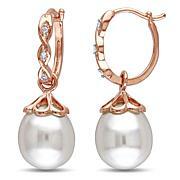 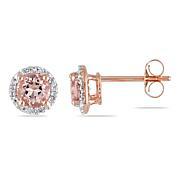 Crafted of 14K rose gold, each earring features a .25ct round diamond solitaire set in a layered, petal-like frame. 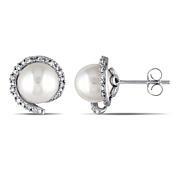 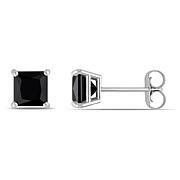 The diamonds in these earrings are graded G-H color (near colorless) and I1 clarity (inclusions are obvious under 10X magnification).